MailWasher works extremely well as a spam filter for Thunderbird. One of the main advantages of MailWasher is it lets you preview all your email at your internet provider before you download it to your Thunderbird inbox. This preview feature allows you to read all your email on the server, delete the ones you don't want (spam, unwanted newsletters, large emails etc) and leave only the email you want so that you can easily download it to Thunderbird. Instead of Junk Email cluttering your inbox each day, MailWasher will filter it first, saving you time so you can read and reply to only those emails you want. 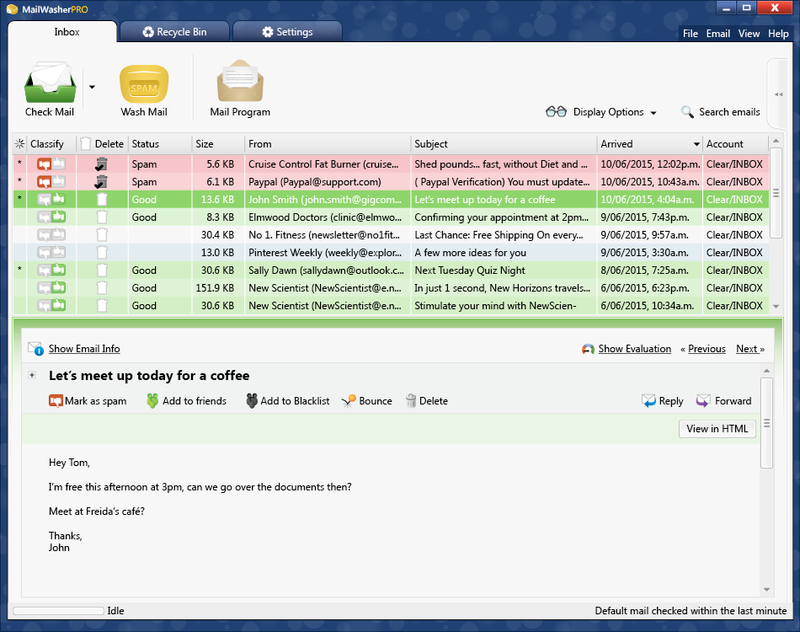 With MailWasher you'll never get any spam to your Thunderbird inbox. Previewing email before it gets to your computer also keeps you safe from viruses and other malicious scripts which may be enbedded in your email. MailWasher previews your email in plain text so that nothing malicious can run on your computer but you can still read all of your email. Not only is MailWasher smart at filtering spam (you can train it recognize good and bad email and it learns very quickly), it's also very easy to use. You'll be up and running in a matter of minutes and after using it for a while, many people find it becomes one of the most useful programs on their computer. 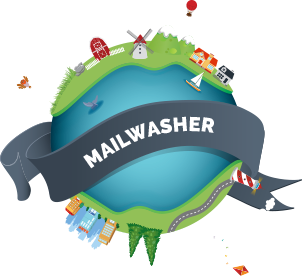 MailWasher contains comprehensive anti spam tools ranging from your personal friends list and blacklist, customizable filters, external blacklists, bayesian spam filtering which quickly learns to distinguish your spam and good email and email virus filtering. Friends List. 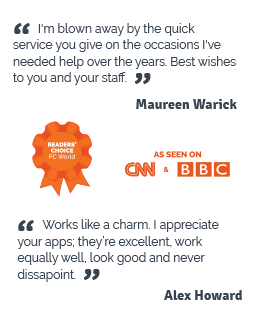 Add your friends email addresses to MailWasher and they will always be recognised. You can even hide your friends from the screen so the spam is easy to recognise. Bounce back unwanted e-mails so it looks as if your email address is not valid. This will make the sender think your address is no longer active so your name can be removed from their list. This unique feature is great for privacy and it couldn't be simpler! Filtering. Effective filtering to automatically spot spam, plus it uses a customisable list of blacklisted e-mail senders and/or regular expressions to filter out potential spammer addresses and messages. Bayesian spam filtering. This clever type of spam filtering learns which of your email is spam and which is not very quickly and accurately. You can download MailWasher Pro today and try it for free for 30 days.